Grey Goose Entertainment and the Sundance Channel hired Mark Seliger to create a series of portraits for Conde Nast Magazines. 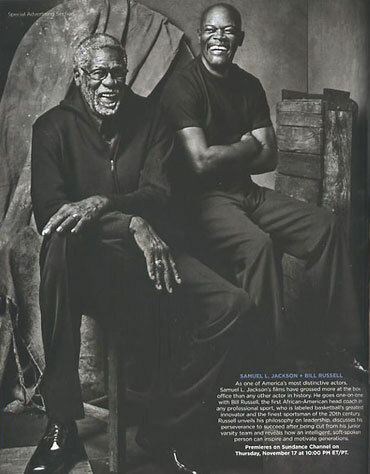 Bill Russell and Samuel L. Jackson were photographed in Seattle. Tom Thurnauer was the Art Director, and John helped with the set and props.